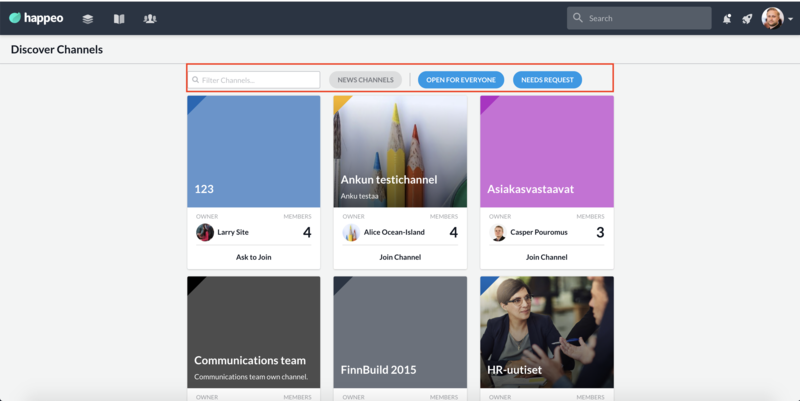 Happeo Channels can be published inside the company to the Discover section. From this section all organization members can view the available channels and depending on the permission levels, either join or ask to join the Channel. The discovery settings are set from the Channel settings. By default all Channels are private.